A perfect journey starts with the stress-free transport of horses and ponies. We will take care of all your transport arrangements with regular trips to Europe, Canada and the USA. Ministry approved quarantine stables for pre-export isolation avaliable on the premises. 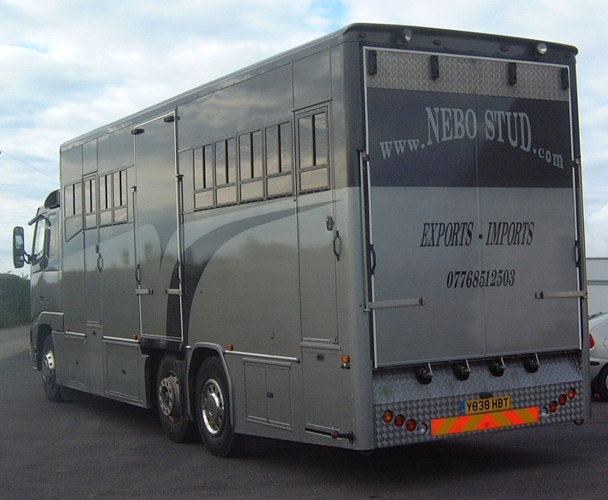 Horses and ponies bought here at Nebo are transported at reduced rates. It would be worthwhile checking our rates for other purchases also. Our quotation will include the complete price, inclusive of all necessary paper work and vet fees. 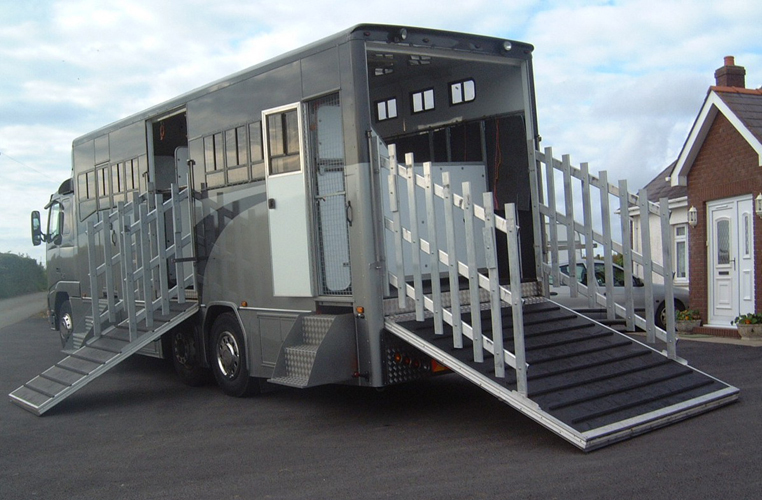 The horses and ponies travel in our purpose built horse box and are constantly monitored by a close circuit TV. Thanks to the movable partitions, the space in the horsebox can be adjusted as required. The full air suspension body offers a major advantage in horse comfort. The close circuit TV makes it possible to carefully monitor the horses and provide the owners with up-to-date information on the condition of their horses. Using cameras, it is also possible to discover if a problem arises. Our small transport service has been in operation for over fifteen years and it has been a pleasure to please customers during this time. If you think we can be of any assistance to your requirements please feel free to contact us. Our aim is to deliver the horses as cheaply as it allows as part of a full consignment, but individual prices are available on request. We can also negotiate the purchase of ponies and cobs on your behalf from various studs or can buy on your behalf from the many sales held during the year. Accomodation can also be arranged for anybody wishing to visit us or any of the many studs in the locality.